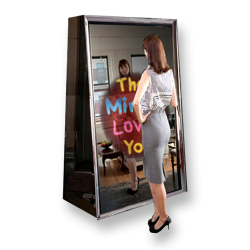 When your guests step in front of the Mirror Booth a colorful animation appears inviting them to touch the full length mirror and take their best poses ever! A friendly voice guides them through the picture taking process, giving them compliments and high-fives. The sleek design and user-friendly features takes the selfie to a whole new level. 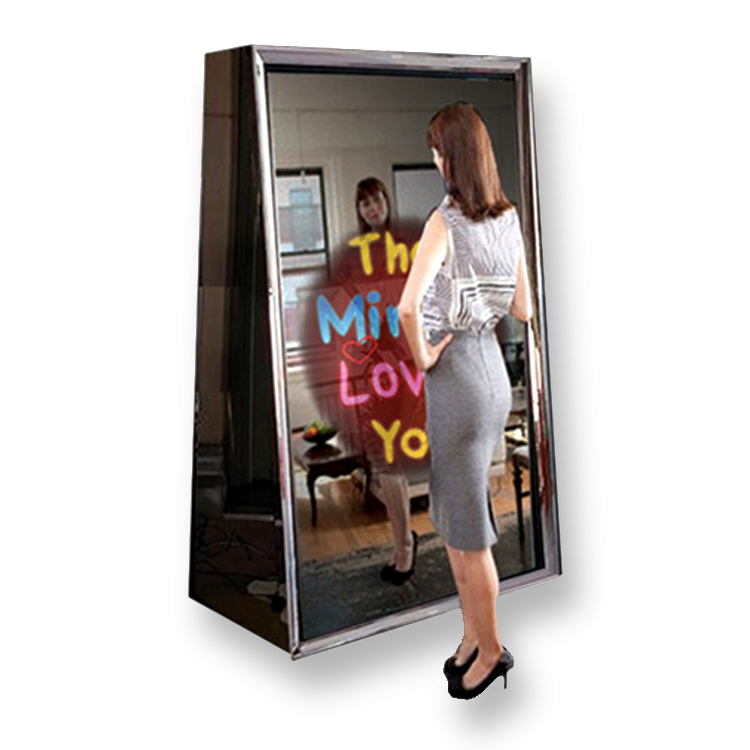 The Mirror Me allows for multiple template choices and custom workflows giving guests the most unique photo booth experience that we offer.